Tsukasa finds herself lamenting the fact that there is no TV in their new abode. Kaname stops by, informing Tsukasa about her otaku father’s closet in the guest house closet. One of the items is a PC-8801 MA from 1987 that no longer works. Nasa comes in and after learning of the problem, fixes the computer. Further, Nasa quickly develops an old-style side-scrolling shooter game. He even comes up with a long backstory for this game. Kaname finds Nasa to be a math nerd, but she understands why Tsukasa married Nasa. Tsukasa loves the game and lovingly compliments Nasa on this. Nasa is happy Tsukasa is enjoying the game since he felt sure she’d be bothered by not having access to a TV. 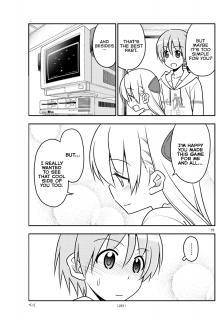 Kaname tells them they have an old TV they aren’t using along with old games from her dad. Upon seeing these and the old gaming console, Tsukasa says she doesn’t mind staying here a while. With Tonikaku Cawaii chapter 34, Hata-sensei establishes a reason for Tsukasa and Nasa to reside with the Arisugawa family for a while. I find it amusing that Hata-sensei appears to be channeling many of his likes into Tsukasa. Its funny that while Tsukasa has no interest in historical things (possibly because she experienced them first hand), she does have an interest in old school PC’s and games. Tsukasa was quite familiar with the PC-8801 MA, which didn’t get released until 1987. Nasa developing a side-scrolling sci-fi arcade shooting game in 30 minutes is rather unrealistic. Maybe I would have bought it more if it had been something like Rogue (click the link for my video on the game), that might have been a bit more realistic due to ASCII graphic usage. The amusing part of this is that Hata-sensei screwed up the artwork and showed the game playing with open drive bays. Opening a drive bay is how one prevented a bad game run from writing that data to the floppy disk. ? Finally, I don’t know what kind of console Nasa was holding, but I bet several will show up before all is said and done. I better wrap up Tonikaku Cawaii chapter 34 while I can. Nasa acts a lot like Nagi from Hayate the Combat Butler with his incredibly detailed and complex stories. Well, they both are quite smart. I like how Hata-sensei has provided a means for Nasa and Tsukasa to remain with the Arisugawa family. Living in the small guest house means they have their privacy while at the same time, Nasa and Tsukasa can interact with Aya, Kaname, and their mother. I have to admit that when Kaname teased Nasa about groping his wife, both times Nasa denied he’d do that…yet. 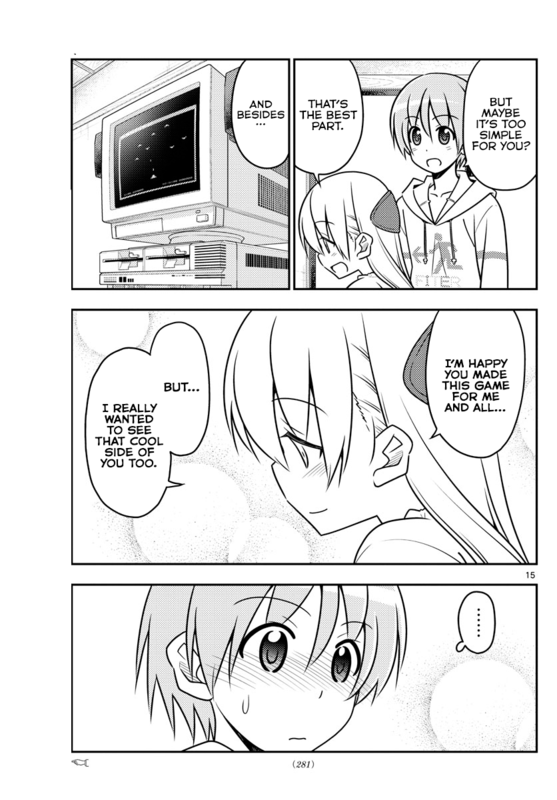 In the end, Tonikaku Cawaii chapter 34 is a fun chapter that references some old school tech and gaming. And there are some anime/manga references thrown in for fun as well.